For such a relatively “small” air force, the RNZAF maintains an extraordinary air transport capability out of all proportion to its size. Essential to the service’s truly “global” reach are its two Boeing 757-200 aircraft that have recently been modified as “combi” freighters. 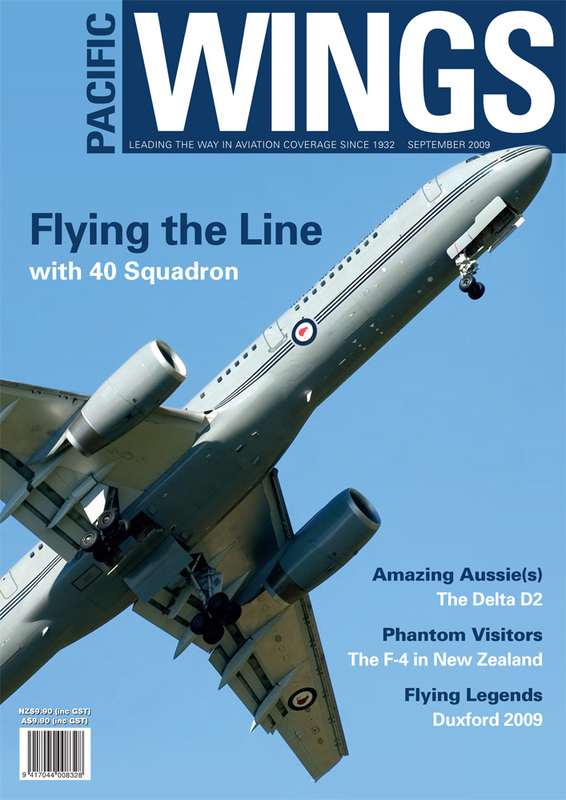 Graeme Mollison recently spent a day with 40 Squadron and one of its 757s. During a 24-year career in the RNZAF, Alan Reynolds photographed many rare and unusual aircraft from foreign air arms when they visited New Zealand. Favourites among his subjects were the McDonnell Douglas F-4 Phantoms from the US. Alan’s recollections and photographs of the visiting F-4s celebrate a small part of the big history of this memorable aircraft. Amongst global warbird enthusiasts, the Flying Legends air show at Duxford in the UK is undoubtedly the best known and most spectacular, with a mouth-watering line-up of priceless warbirds on display. Glenn Alderton—one of the best warbird photographers in the world—was at Duxford this year to bring Pacific Wings’ readers a glimpse of Duxford’s delights. When Pam Johnson visited Australia recently, she caught up with the team behind a highly promising new all-Aussie helicopter design. As Pam explains, the Delta D2 not only uses “alternative fuel” but also holds great promise in terms of operational efficiency, safety and practicality. The definition of what constitutes a “normal” day varies greatly around the world. As Don Harward explains, in war zones like Afghanistan, a “normal” thing like taking a shower before breakfast might include listening to rockets landing in one’s back yard—and a “normal” day’s work might include getting one’s helicopter riddled with bullets.